Florbetaben f-18 is a Radioactive Diagnostic Agent. The mechanism of action of florbetaben f-18 is as a Positron Emitting Activity. 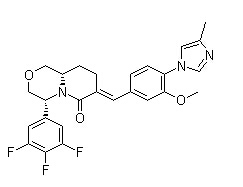 Aftin-4 is an Amyloid-β42 (Aβ42) inducer. 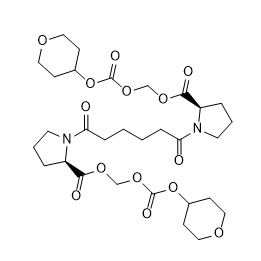 GS3039294 is a Serum amyloid P component inhibitor. 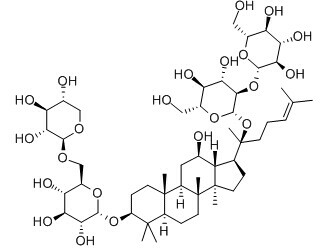 Notoginsenoside R1, the main bioactive component in panaxnotoginseng, is reported have some neuronal protective, antihypertensive effects. 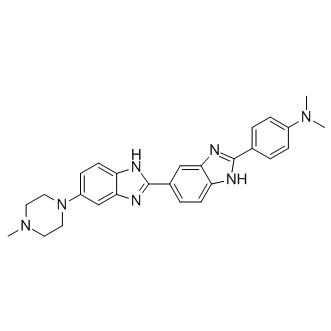 Hoechst 34580 is a cell-permeable fluorescent dye for staining DNA and nuclei. 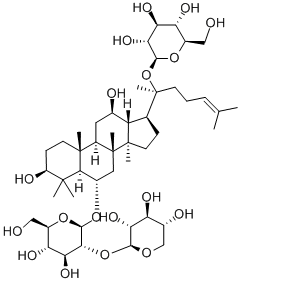 Geniposide is an iridoid glucoside extracted from Gardenia jasminoides Ellis fruits; exhibits a varity of biological activities such as anti-diabetic, antioxidative, antiproliferative and neuroprotective activities. 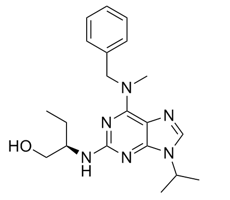 R-Ginsenodie Rg3 γ2 GABA-A receptor agonist, 7.1 K+ channel activator, α10 nAChR antagonist found in Panax. It exhibits a wide variety of biological activities, including decreasing expression of pro-inflammatory cytokines, reducing oxidative stress, and inhibiting tubular formation and migration of endothelial progenitor cells. Amyloid β-Peptide (1-42) human is a 42-amino acid peptide which plays a key role in the pathogenesis of Alzheimer disease. Sequence: Asp-Ala-Glu-Phe-Arg-His-Asp-Ser-Gly-Tyr-Glu-Val-His-His-Gln-Lys-Leu-Val-Phe-Phe-Ala-Glu-Asp-Val-Gly-Ser-Asn-Lys-Gly-Ala-Ile-Ile-Gly-Leu-Met-Val-Gly-Gly-Val-Val-Ile-Ala.